If you read my blog on June 11th you would have been amazed at the incredible “coincidence” (God’s perfect timing) that brought a new nurse to us (Hannah Vilakati) when our nurse Brooke Sleeper was leaving on maternity leave (and then moving back to the US), with only a few weeks to spare. If you missed it, you can catch up here: http://janinemaxwell.blogspot.co.za/2016/06/i-cant-make-this-stuff-up.html. This week HE did it again. Hannah also was pregnant when she joined the team so we knew she would be leaving on maternity leave in October. Last week we did a “hand off” of information from Hannah to our clinic nurse who would step in to Hannah’ role for the next few months. Unfortunately, at the end of the day on Friday of the same week, that nurse resigned, leaving us with no medical staff for our 141 babies and 280 employees. My first reaction was “Oh NO! What are we going to do now! ?”, but honestly, only seconds later I thought about how Hannah came to us and just knew that God had a plan, and it would be perfect. I just hoped His plan would be quick!! 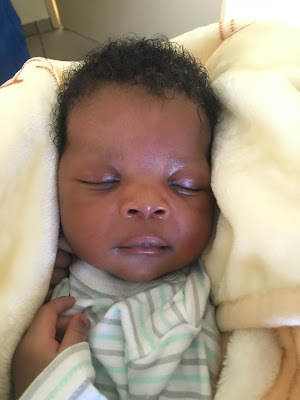 Monday morning I was in town at the government hospital picking up a 10-day-old baby boy who had been left on the side of a road. A taxi driver had almost ran him over and then backed up to see what was wrapped in the blanket, only to find a newborn. The nurse who brought the baby to me at the social workers office told me that she had a friend who needed a job. I am asked for jobs all the time, so assumed she meant as a caregiver/Auntie. I told her that the only position I had open at this time was for a nurse. Ha – of course she is. Turns out that her friend is 60-years-old and was forced to retire from the government hospital due to age, but she was still strong, smart, active and wanted to work! I gave the nurse my card and asked her to have her friend send me her resume. Two hours later, when I was back on Project Canaan, I got a call from the front gate guard saying that there was a nurse there to see me. She had received the call, got in her car, picked up the social worker from the hospital who knows us well (nothing like bringing your own references with you!) and drove out with hopes of meeting with me. Needless to say I interviewed her, showed her around, asked Dr. Lemmer (who runs our clinic) to interview her, he checked her references and we hired her the very next day! She doesn’t start until November 1st, but has been to work every day this week “volunteering” and getting to know what we do and how we do it. Yes, God did it again. I was in the right place at the right time with the right person and He delivered us a nurse with 35 years experience. I just can’t make this stuff up, but I do love sharing these stories with you so that you can see that miracles still do happen. Live from South Africa … thankful that God’s timing is always perfect. PS - A quick update on Ian’s knee. It is not healing properly and is still very swollen, painful and he says it “slips” when he walks. We are in South Africa for the weekend so that we can see the surgeon early Monday morning. We are anticipating reconstructive surgery on Monday or Tuesday so please pray for us all as we start this journey again. A bag of frozen chicken parts? Ncamile, Kim, Hlengiwe, S'bonga, Nqobile. This week I had fun. I don’t have fun very often. I LOVE my job and my life, but “fun” isn’t really a word I would use to describe by life, but this week I had fun. My cousin Kim came to visit with her husband Joe and their friends Carol and Barry. Since I first started my marketing business in Canada back in 1988 I wanted to hire Kim, but children, location, time and space never allowed us to work together. But now, here we are in our 50’s and I have finally been able to hire and work alongside one of the brightest, creative, hard working sales people that I know. In January Kim became the North American Sales Manager for Khutsala Artisans, based in Chardon, Ohio and this week we had fun together! Kim came this week to work with the Khutsala Artisans team. We spent time talking about sales targets, pouring over spreadsheets, designing jewelry, packing boxes to ship and suitcases to carry. She also came to encourage, thank and love the workers who are responsible for producing the product that she sells. Let me give you an idea of what this team did in 2016. 475 of the cutest reindeer decorations! It total they have handmade 62,352 pieces of art made from wire and colored beads, and that does not include thousands of pieces of jewelry that were produced as well. Before Kim came she told me she and her friend Carol wanted to buy a “treat” for all of the workers to thank them for learning a new trade and making each item with love and excellence. I spoke with our Production Manager and asked what would be the perfect treat, and a plan was made. Yesterday the Khutsala Artisans stopped work early and sat in a dark room while I showed them our brand new website (www.khutsala.com). Of the 105 people in the room, only four are on Facebook and the rest did not know what the internet was, but I did my best to explain. They were so excited to see their own faces on our site and squealed with delight when they saw the really awesome 1-minute videos that we have about how some of our things are made (you really need to go watch them – they are fun - https://heartforafrica.myshopify.com/pages/how-its-made). And then we announced what the real “treat” was. Each person would be given a 2KG (4.4 pound) bag of frozen chicken parts and a 2L bottle of Coke. The room literally erupted in screaming (remember the day that Oprah gave away cars to her audience? Kinda like that.). They jumped, they sang, they danced and after everyone received their frozen chicken and Coke there was a spontaneous dance party at Khutsala. A bag of frozen chicken parts showed our people that they are loved and appreciated - and last night their families all got to eat chicken! 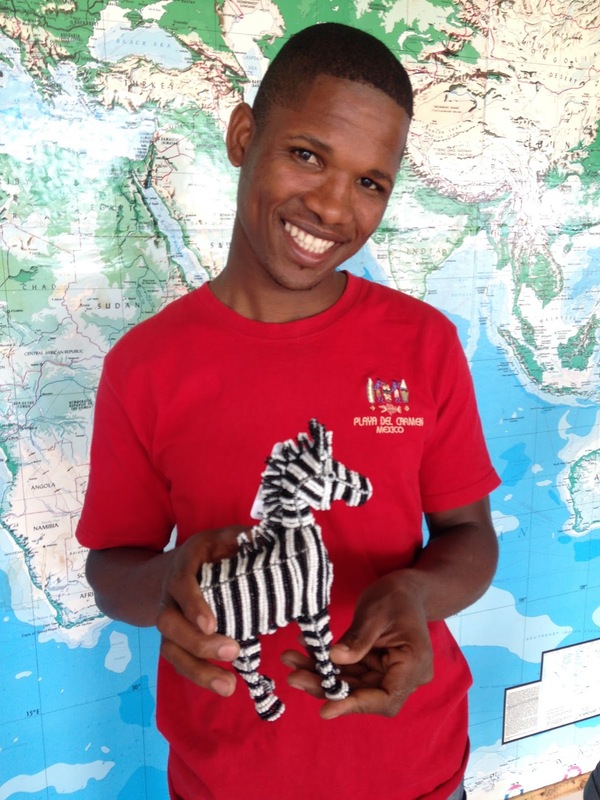 “Khutsala” means “hard working person” in siSwati, and each of these artisans have worked hard this year to learn how to make beautiful products so that they can provide food and school fees for their own families. BUT as Kim and I discussed, if we don’t sell the product, we won’t need to keep them employed again next year. Today I am asking you to go to our www.khutsala.com website and start your Christmas shopping. This new website allows for Canadians to shop too (finally!). We have many new and beautiful items for sale. Your shopping will literally save the lives of the families whom we employ and 100% of the profit goes directly back to providing for our 141 (142 on Monday) children who call Project Canaan home. 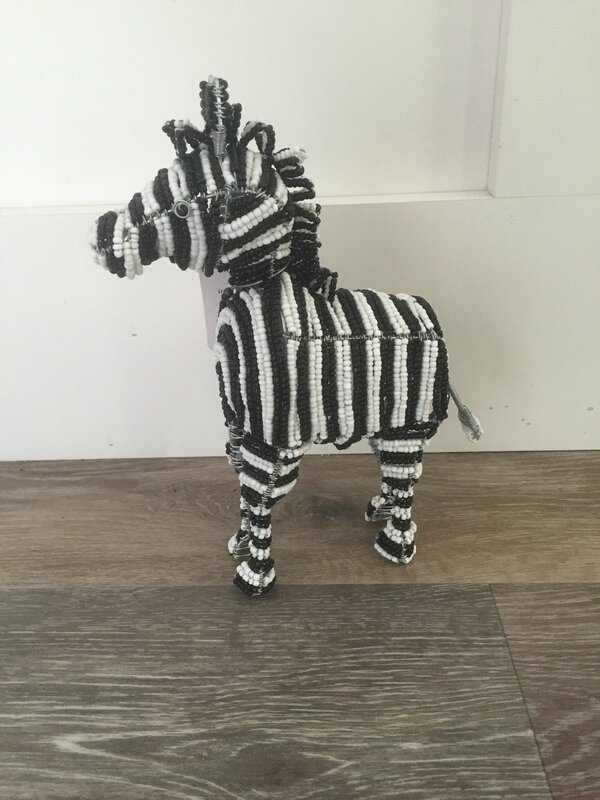 If you are interested in hosting a jewelry party at your home or help us sell our goods, please email me at janine@heartforafrica.org or kime@heartforafrica.org. Live from Swaziland … hoping you will shop at www.khutsala.com today! PS - we also have some handmade wood and sisal ornaments. The wood and the sisal are harvested directly from Project Canaan. All in all, this was a good week. This week started with an anonymous donor offering to put up a $50,000 US match for our urgent fundraising drive to bring water from the top. The challenge was for five days with hopes to reach our goal of $200,000 (the first 25% of the funds needed to bring water from the top of the mountain) so that we can move full speed ahead in building the wier (see last weeks blog for details). I am THRILLED to announce that we have raised $178,405 US ($230,782 CDN) so far and pray that people will continue to give and the balance of it will come in the next few days. Even more exciting is that 221 individual people invested in the project and bought piping that will run down our mountain. The project will begin on Monday! In addition to that good news, we received a new little boy on Wednesday welcoming our 140th child to Project Canaan (!!). This little guy turns 2-years-old tomorrow and his mother abandoned him with a neighbor before she ran to South Africa and the “alleged” father denies paternity. The police and social welfare are still doing further investigation, but for now we are working on his nutrition (he is severely malnourished) and he is settling in nicely with all of his 41 2-year-old brothers and sisters living at the toddler home. Face blocked to protect his identity. This week we celebrate three birthdays. Glory and Titus turned 3-years-old and today John turns 4-years-old. Each and every child gets their own birthday cake on their birthdays, with the exception of our 7 sets of twins who share a cake. When a child turns three, they get a big stuffed animal to sleep with. When they turn four, they get a book bag (back pack) for school. When they turn five, they get a handmade quilt for their bed. They also get to go to the boma (tall wooden sticks at the Oasis playground) and choose their own measuring pole that they will be measured on at each birthday. We work hard to make every child feel special, loved and to be raised in their own identity in Christ, not an identity as an “abandoned child”. 4-year-old Grace got her very own swing(s) so that she can be strapped in and swing with the rest of the children and she also received leg braces (think Forest Gump) that will help her walk on her own. BUT already, this little girl who we were told would never sit, walk or see, is sitting, walking and seeing! One of the “perks of the job” is seeing miracles each and every day. Yesterday we welcomed my cousin Kim and her husband Joe along with their friends Carol and Barry from BC, Canada. Kim is our North American Sales Director for Khutsala and she is the one who is responsible for our beautiful new Khutsala Artisans website. Be sure to check it out for your gift giving needs at www.khutsala.com. I can’t tell you how nice it is to have family here after going through several very hard months personally. Ian’s knee is healing, slowly. He is now using only one cane and the swelling is also slowing going down. His body tells him when he does too much in a day or doesn’t have his leg up enough, which saves me from having to tell him J. All in all, this has been a good week, and I am SO happy to be able to say that. Live from Swaziland … heading down to eat birthday cake with John! It begins with 65 tons of material carried UP the mountain ... BY HAND! Ian and Gil reviewing the plans to bring water down from the springs on HOPE mountain. At long last I can write you with some really great news! As I am writing this blog, Ian is finishing a meeting with our “water guy” discussing the day that we can start bringing the water down from the top of HOPE Mountain. As you may have read, we are in the worst drought in recorded history, with the last big rain happening at Christmas 2014. This has been a loooooong process involving researching every possible option and/or alternative to this expensive initiative, getting written “water rights” from the government, gaining local support from surrounding Chiefdoms, building a rough “tractor road” to the top and then finalizing a plan of action, complete with drawings and then negotiating the final pricing for the project. It is critical that we become "water secure" for our children, our staff and our animals to survive and for us to start growing food again. This project will even benefit people in our surrounding community when complete. ONLY after all those things could be done could we in good faith reach out to our friends and family for funding. The total project will cost approximately $800,000 USD ($1,100,000 CDN), but with as the exchange rate changes (daily) the cost rises. On Wednesday we launched our “Water from the mountain” campaign and in two short days we raised $91,000 USD from friends in the US and Canada, which will allow us to get started, hence the meeting on our patio this morning. The next step is to build two wiers, which in layman’s terms is a concrete structure that will adjust the flow of water to a pipeline that will bring the water down 5.7 miles. 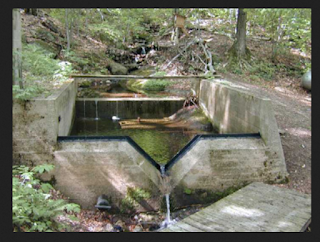 One wier will be 9 feet wide and the other 15 feet wide and 9 feet deep. Unfortunately we cannot get heavy moving or digging equipment to the site so it will all have to be excavated and dug BY HAND! This will all start in the next two weeks and I will be sure to post photos. An example of what a wier looks like. o A total of 65+ tons materials will be carried. On average a man will be able to make 15 trips back and forth carrying a 25KG (55 pound) load each time. 65 tons divided by 55 pounds/load is 2,600 man loads or 173 days of carrying, if it were one man. We plan to hire 20 strong men and have the materials up to the springs in 15 days and we are HOPING that the wiers will be built within a month… if all goes as “planned” (hahahahaha). So, we are taking another step in faith to get this incredibly important and life-saving project underway, with the $91,000 already raised. But we need another $710,000 to complete the project, and we need it soon. Once the dam is dry, we have no options for water, and raising 139 children takes a lot of clean water. Ian and I bought each other $250 of pipe to celebrate our 25th wedding anniversary this past week. It might not be the traditional “silver”, but the gift of water is even better! Will you join us in buying a piece of pipe for $25 TODAY? Or ten pieces for $250? Or 100 pieces for $2,500? Or maybe you are willing to give a gift of $25,000 or $250,000 to help us bring water from the top of the HOPE Mountain? Our lives literally depend on your support. To make a donation in Canada please click here. To make a donation in the US please click here. Live from South Africa … praying for funding in a big way. Hope in a bag? Seriously. I can’t believe it’s October already! And living in Africa that means that spring is in the air, the blossoms are starting to bloom and the trees are flowering. But Christmas still comes on December 25th (even if it’s 110F) and so my Christmas shopping has begun. Has yours? If not, maybe today is the day to start. I am THRILLED to be able officially launch the 2016 Heart for Africa Christmas tree ornament made by the talented Khutsala Artisans on Project Canaan in Swaziland, Africa. You will see that it is a stunning “Classic” ornament shape made with “oilslick purple” glass beads. Each one is carefully handmade and each person trained and employed to make them cares for an average of 13 people back at home. 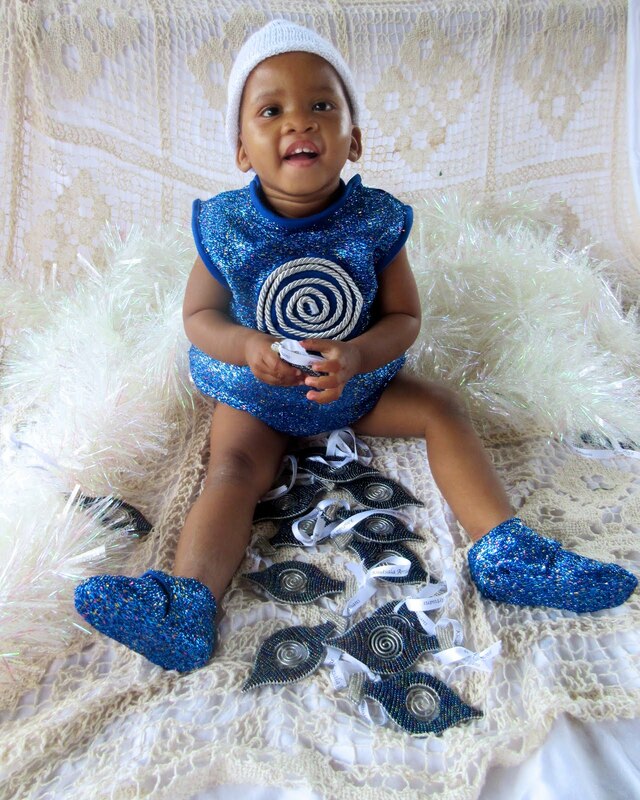 100% of the profit goes directly back to helping us care for the 139 babies who call Project Canaan home. The profit allows us to buy diapers, pay for caregivers, medical care, food and everything else that goes in to raising these precious children. This is baby Michelle in a costume made by Gwyn Puckett and the hat knit by Becky Fern. 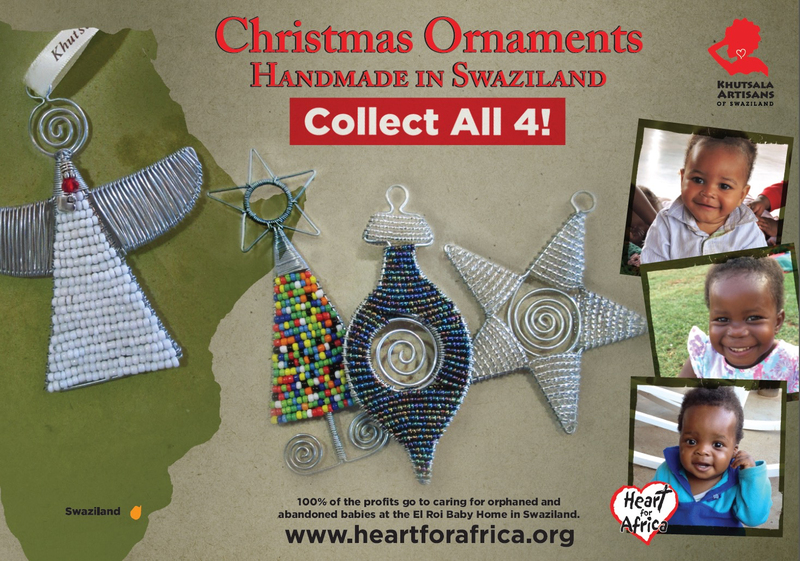 The image is one of the inserts in each of the Christmas ornament packs that tells the Heart for Africa story and who made the ornament. 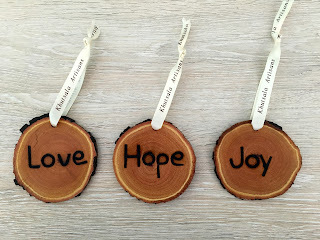 Of course if you only want to buy a few, you can do that at https://heartforafrica.myshopify.com/collections/christmas. A Bag of Hope - 26 assorted ornaments. Our goal is to sell 40,000 ornaments in 2016! And I know we can do it! We have not received a baby in the past two weeks, leaving us with 139 lives that we are caring for “in sickness and in health” (like my husband of almost 25 years :). The babies have had bouts of Rotavirus, many rounds of vomiting and diarrhea and too many babies rushed to hospital for IV antibiotics. 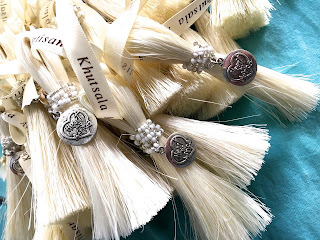 But isn’t it encouraging to know that by shopping at the new Khutsala Artisans website you are directly helping us to care for these children? As you may know we needed to cancel our 25th wedding anniversary trip to the US and Canada due to Ian’s dislocated/broken knee. We are taking a few days in Durban to look at the Indian Ocean and give thanks for all that the Lord has given to us in these past 25 years, including YOU, our friends and family who support us “in good times and in bad, in sickness and in health”. We give thanks for you each of you. Live from South Africa … hoping you will start shopping today at www.khutsala.com (and yes, Canadians can now shop on this new site! ).